CCC 205 God calls Moses from the midst of a bush that burns without being consumed: “I am the God of your father, the God of Abraham, the God of Isaac, and the God of Jacob.”1 God is the God of the fathers, the One who had called and guided the patriarchs in their wanderings. He is the faithful and compassionate God who remembers them and his promises; he comes to free their descendants from slavery. He is the God who, from beyond space and time, can do this and wills to do it, the God who will put his almighty power to work for this plan. CCC 207 By revealing his name God at the same time reveals his faithfulness which is from everlasting to everlasting, valid for the past (“I am the God of your father”), as for the future (“I will be with you”).3 God, who reveals his name as “I AM”, reveals himself as the God who is always there, present to his people in order to save them. CCC 2575 Here again the initiative is God’s. From the midst of the burning bush he calls Moses.16 This event will remain one of the primordial images of prayer in the spiritual tradition of Jews and Christians alike. When “the God of Abraham, of Isaac, and of Jacob” calls Moses to be his servant, it is because he is the living God who wants men to live. God reveals himself in order to save them, though he does not do this alone or despite them: he calls Moses to be his messenger, an associate in his compassion, his work of salvation. There is something of a divine plea in this mission, and only after long debate does Moses attune his own will to that of the Savior God. But in the dialogue in which God confides in him, Moses also learns how to pray: he balks, makes excuses, above all questions: and it is in response to his question that the Lord confides his ineffable name, which will be revealed through his mighty deeds. CCC 2810 In the promise to Abraham and the oath that accompanied it,22 God commits himself but without disclosing his name. He begins to reveal it to Moses and makes it known clearly before the eyes of the whole people when he saves them from the Egyptians: “he has triumphed gloriously.”23 From the covenant of Sinai onwards, this people is “his own” and it is to be a “holy (or ”consecrated“: the same word is used for both in Hebrew) nation,”24 because the name of God dwells in it. 10 Cf. I Cor 2:8. 12 Cf. Gen 18:20; 19:13. 15 Cf. Deut 24:14-15; Jas 5:4. 17 Cf. Ex 3:14; 33: 19-23; Mt 1:21. 18 Rom 10:13; Acts 2:21; 3:15-16; Gal 2:20. 21 St. Peter Chrysologus, Sermo 71, 3: PL 52, 401 CD; cf. Gal 4:6. 23 Ex 15:1 cf. 3:14. In Lent we are preparing for the death and Resurrection of Christ. It is the central, the crowning act, of God’s love in the divine drama of our liberation from sin, and our admission to citizenship of our new exalted and everlasting homeland. The Exodus, the liberation of the Chosen People from the slavery of Egypt and the beginning of their journey into their promised land, Canaan, was a type or prophecy of our great liberation and exaltation to the status, not only of Chosen People, but of sons of God. For this reason Christ chose the Jewish feast of Passover or Pasch–the beginning of the old Exodus, as the day on which he would begin our liberation. He was the real Lamb of God whose sacrifice would redeem us from the slavery of sin and death, and whose precious blood would mark us for eternity as the chosen sons of the Father. It is to remind us of this that we are told today of this story of God’s mission to Moses. The liberation of the Israelites from the slavery of Egypt and their eventual establishment in the Promised Land of Canaan were outstanding proofs of God’s deep interest in those he loves. But they were only types and shadows of what he has done for us. It was not a mere man, like Moses, but his own Divine Son that he sent to liberate us. He came not to give us a few years of temporal freedom in a little corner of this planet, but to give us a new supernatural life in his own everlasting kingdom of unending freedom and happiness. With infinitely more reason than the Psalmist who lived before Christ came, can we cry out: “Lord, what is man that thou shouldst be mindful of him?” What am I that God should care for me and go to such extremes in order to make me truly happy forever? From my heart I can say: ” Lord, I am not worthy.” But I also know that he who made all things, can make me worthy of the future he has so generously prepared for me, if only I cooperate, if only I do the little he asks of me. There is no road-block on my journey to heaven. There is no hindrance on my way into the Promised Land, which I cannot remove, with the help of grace, which is there for the asking. Will I sit idly on the roadside bewailing my weaknesses, or will I roll up my sleeves and start casting aside the cardboard barricades set up by my own selfishness and spiritual laziness? Today is the best day to answer that question. There may not be another chance. CCC 117 The spiritual sense. Thanks to the unity of God’s plan, not only the text of Scripture but also the realities and events about which it speaks can be signs. CCC 128 The Church, as early as apostolic times,4 and then constantly in her Tradition, has illuminated the unity of the divine plan in the two Testaments through typology, which discerns in God’s works of the Old Covenant prefigurations of what he accomplished in the fullness of time in the person of his incarnate Son. 1 Cf. I Cor 10:2. 2 I Cor 10:11; cf. Heb 3:1 -4:11. 3 Cf. Rev 21:1 – 22:5. 4 Cf. I Cor 10:6, 11; Heb 10:l; l Pt 3:21. 5 I Jn 2:18; cf. I Pt 4:7. 6 LG 48 # 3; cf. I Cor 10:11. 7 Cf. Mk 16:17-18, 20. 9 Jn 19:34; 1 Jn 5:8. 10 Cf. Jn 4:10-14; 738; Ex 17:1-6; Isa 55:1; Zech 14:8; 1 Cor 10:4; Rev 21:6; 22:17. 11 Cf. DV 14-16; Lk 24:13-49. 12 Cf. 2 Cor 3:14-16. 13 Cf. 1 Pet 3:21. 14 Jn 6:32; cf. 1 Cor 10:1-6. 15 Cf. 1 Cor 10:11. 16 St. Ignatius of Antioch, Ad Magn. 9, 1: SCh 10, 88. This admonition of Paul, given to the converts in Corinth, but applicable to all of us, could not be more timely. During Lent we are, or should be, thinking of all God did for us, and of how mean is our response. We read of the wonderful things he did for the Israelites, getting them out of Egypt, feeding them in the desert and leading them towards their own national home. We see the return they made him: ingratitude, forgetfulness, betrayal by turning to false gods who did not or could not help them. We very naturally conclude that they deserved all the punishment he gave them. But who are we to pass judgement on the Israelites? They did not know God as well as we do. 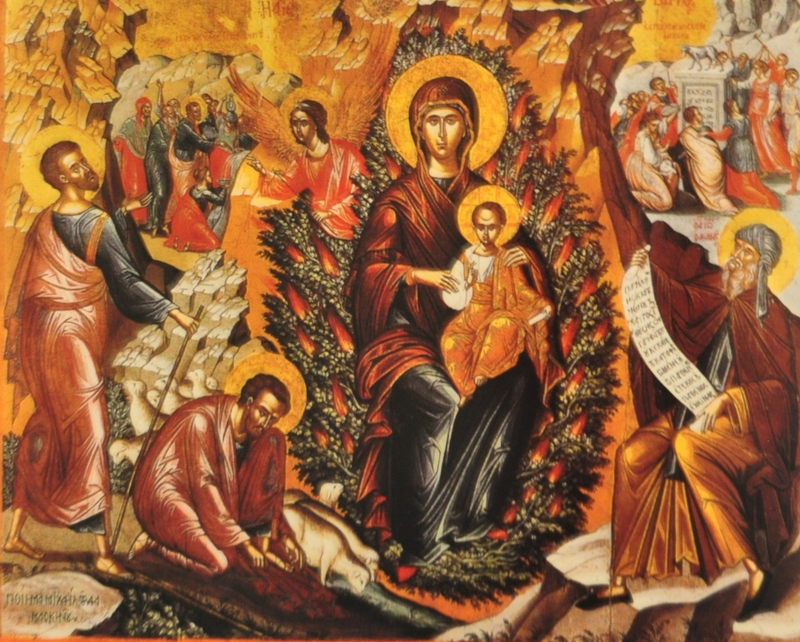 They had witnessed God’s love, mercy, and kindness in their regard, but, compared to the divine love and mercy we have witnessed in the Incarnation, what God did for them was relatively little. Yet like the Israelites we lust too often after evil things, we let the pleasures and wealth of this world come between us and God. We do not perhaps set up a golden calf as our god, but how often does something more trifling, the silver dollar, become the center of our lives and of our devotion? We, too, tempt Christ when we presume we shall get to heaven by means of a few mumbled prayers and a hasty Mass on Sunday, while the rest of our week is spent in the service of our pagan worldly idols. And how often do we murmur and complain against God when things do not go as we’d like them to go ? If our health is not always the best, if our work is not quite suitable, if our husbands or wives are not the true and best partners in life we expected them to be, if our children are disobedient and wayward, we murmur against God and blame him. Often, if not always, the fault lies with ourselves. Today, I would ask each one of you to stop, look and listen, before you take your next step on your road of life. Stop and take an honest look at yourself and at your Christian attitude to life. Are you expecting heaven here below or are you one of those who wants to have all the goods and pleasures of life and heaven too? Christ won for us and promised to those who would follow him, a day of resurrection to an unending life of blessed happiness, but he told us very definitely and very clearly that the way to the resurrection is over the hill of Calvary. 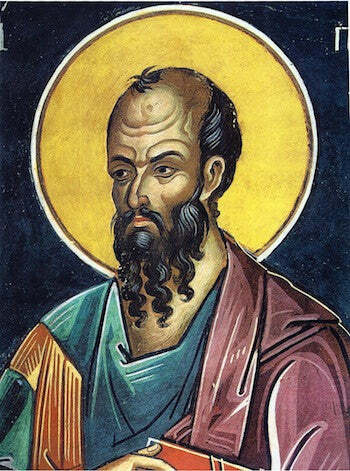 Listen today to St. Paul’s admonition. We too, Christian though we be and far better educated in the things of God, can, like the Israelites, fail to reach the eternal homeland he has prepared for us, if we imitate the Israelites in their ingratitude and their forgetfulness of all that God did for them. Although the incidents collected together here by St. Luke are not logically or chronologically connected there is one theme and lesson running through them all. It is the need, namely, for repentance. Some sinners are punished in this life but an earthly punishment is no proof of greater sin, nor is it the real punishment that must be feared. 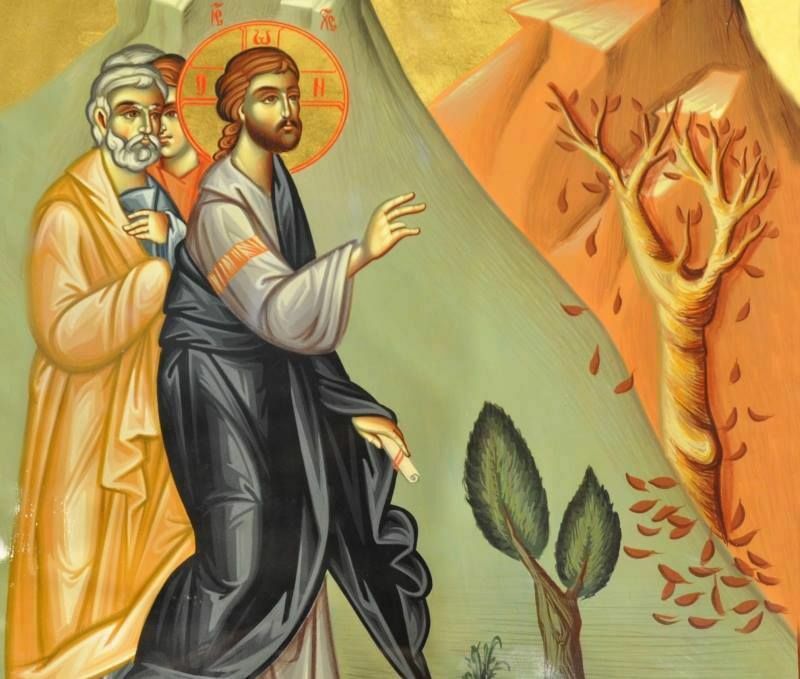 The parable of the useless fig tree, while it applies directly to the stubborn Jews of Christ’s time, has a lesson for all time and for all sinners. God’s mercy is infinite but man’s earthly life, during which he can obtain that mercy, is very finite. God’s mercy can forgive sins no matter how grievous, but it cannot forgive even less serious sins unless the sinner is sorry and asks for forgiveness. Christ, our true mediator with God, is continually interceding for us, but unless we do our part by repenting and changing our behavior, his intercession will be of no avail to us. No man is lost because God so wishes it, but no man is saved unless he himself wishes it and works for it. Think on this parable of the fruitless fig tree today. If your conscience tells you that it applies to you, think also that Christ is interceding for you. He has obtained for you a moratorium, a period in which you can prove yourself fruitful. Use that gift of God with gratitude and you shall obtain the result that God wants, and that in all good sense, you should want as well. It is clear that human beings alone cannot save themselves. There innate error is precisely that they want to do this by themselves. We can only be saved – that is, be free and true – when we stop wanting to be God and when we renounce the madness of autonomy and self-sufficiency. We can only be saved – that is, become ourselves – when we engage in the proper relationship. But our interpersonal relationships occur in the context of our utter creatureliness, and it is there that the damage lies. Since the relationship with creation has been damaged, only the Creator himself can be our savior. We can be saved only when he from whom we have cut ourselves off takes the initiative with us and stretches out his hand to us. Only being loved is being saved, and only God’s love can purify damaged human love and radically reestablish the network of relationships that have suffered from alienation… The One who is truly like God does not hold graspingly to his autonomy, to the limitlessness of his ability and his willing. He does the contrary: he becomes completely dependent, he becomes a slave. Because he does not go the route of power but that of love, he can descend into the depths of Adam’s lie, into the depths of death, and there raise up truth and life. Thus Christ is the new Adam, with whom humankind begins anew. The Son, who is by nature relationship and relatedness, reestablishes relationships. His arms, spread out on the cross, are an open invitation to relationship, which is continually offered to us. The cross, the place of his obedience, is the true tree of life. and died for the sake of all. and spreads its sweet perfume. This entry was posted in agnostic, athiest, Benedictine oblate, Bible Study, Catholic, Christian, faith, Heaven, hell, Holy Spirit, Lent, Liturgy, Mary, mercy, prayer, The Word of God, Uncategorized, Virgin Mary and tagged Benedictine, Bible study, Bless the Lord, Catholic, Christian, Divine Mercy, Jesus Christ, Lent, Liturgical Study, Liturgy, mercy, oblate, Pope Benedict XVI, Pope Francis, Pope John Paul II, Sunday Readings, The Word of God, Truth, Word of God. Bookmark the permalink.